I love that Formula Teams put on fun promotional events like this. 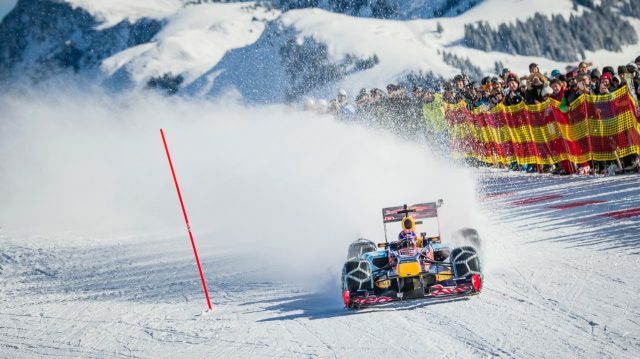 Toro Rosso put Max Verstappen into a Red Bull show car to race through a specially designed section of the legendary Streif ski course in Kitzbuhel, Austria. Of course they shot video which is below. 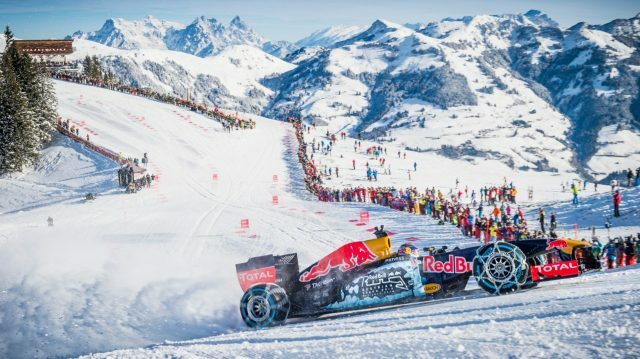 The course was set up a week before the prestigious Hahnenkamm alpine ski race and required them to fly the specially-liveried RB7 onto the mountain by helicopter. 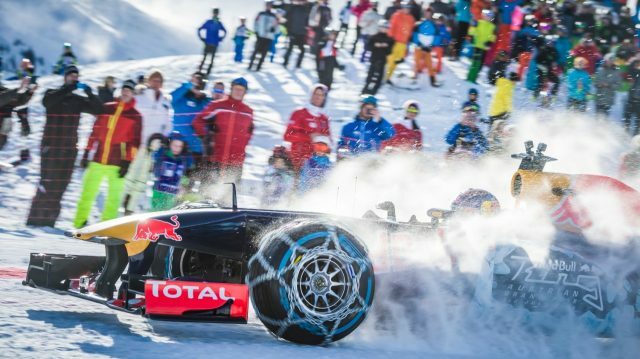 The cool part is that despite running at an altitude of 1,600 metres and in temperatures below freezing, very few modifications had to be made to the 2011 machine, aside from raising the car’s ride height and fitting it with studded Pirelli tyres and snow chains. 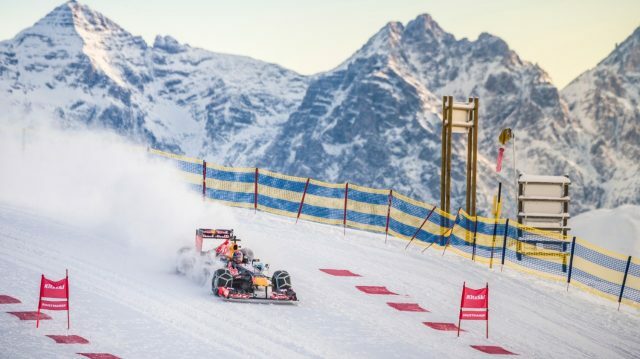 “It was something really special – not just driving on the snow but driving on top of the mountain,” Verstappen said. “The scenery was incredible, I enjoyed it a lot and I think all the spectators enjoyed it just as much as I did. I’d never driven any kind of car on snow or ice, never mind a Formula One car, it really was amazing. Here’s the run on video. Enjoy.